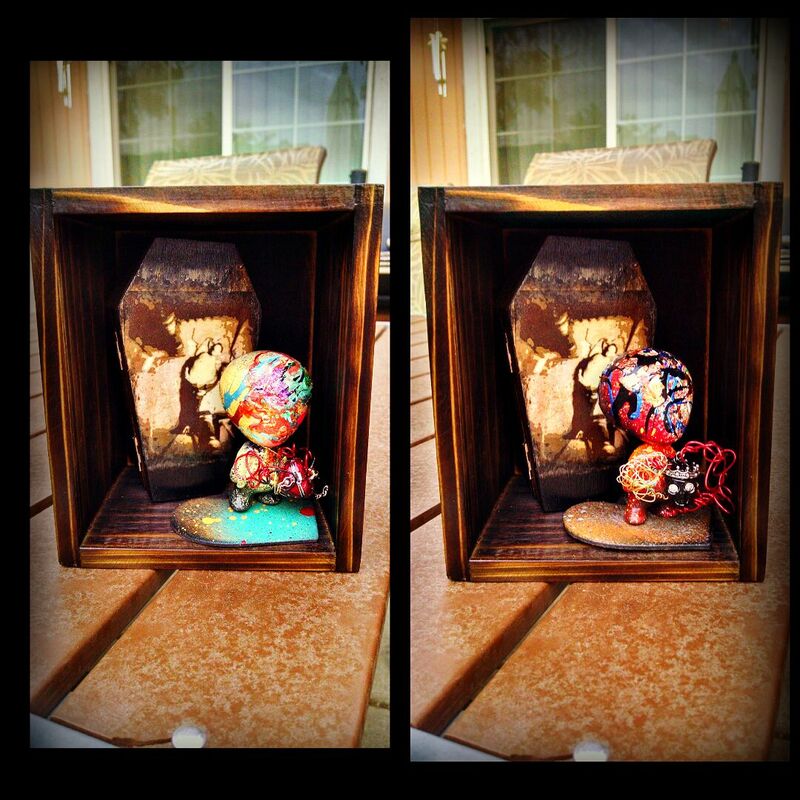 Working on display boxes for the Esclavo de Amor series. Any one of the Esclavo figures will fit in the display. So far I have this one shown and another vintage crime scene themed one to choose from.